My home features an open-plan kitchen with gas cooking, 1 bathroom, heating and air con, washer/dryer, friendly neighbours and a quiet, secure location a stones throw away from everything you need. Permit parking available. I have just moved in and the only thing I’m missing at the moment is a couch and a TV, so bonus points if you can bring one along! Sorry but no pets. Electricity, gas, water and wifi are not included in the rent. The current flatmate is off on another adventure and I am weighing up whether to keep the place or not. So this listing is up as one option of a few. If the right person lands, I might stick with it. It's small, but a functional, fully decked out and comfortable pad. A place to land after the trials and tribulations of the day and recharge. It's one of only 12 on the block and off the main roads, so it's nice and quiet. Location wise the place is amazing. Tram 6 basically at the doorstep and Armadale station a couple of mins walk. Real close to Glenferrie Road's shops and cafes and close to at least three gyms and a bunch of yoga studios. You could stagger home from Chaps...apparently. 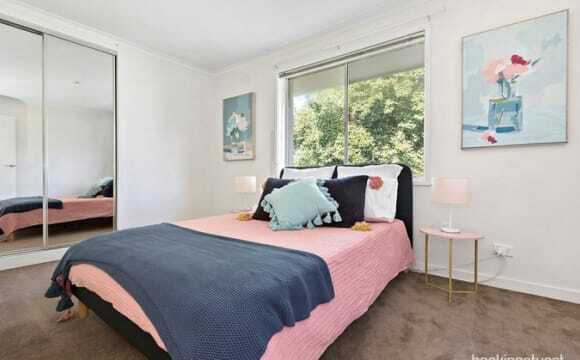 $250pw for singles $350pw for couples Cosy, spacious older style apartment (built late 60's) on ground floor located toward the rear of the block. Well secured with intercom. Modern bathroom with washing machine and dryer. Kitchen has fridge, microwave, oven and electric stove top with range hood. Heating and cooling in living room, wall heaters in bathroom and bedrooms. Television and sofa's (2 + 3 seater) in living room. Plenty of storage including wardrobe for bedroom. Toilet separate from bathroom. Outdoor patio. Great location. A wide, leafy and quiet street and less than a 5 minute walk to Armadale Station, High Street and Dandenong Rd for trams. I am opposite the coolest cafes and have High Street, Armadale right on my doorstep. This includes gyms, shops, cafes, restaurants, supermarket, yoga student &amp; so much more. It’s a quiet safe environment. Art-Deco super large apartment. Double brick, which makes it super cool on those really hot summer days. Two bedrooms with built in robes and a shared bathroom. Large kitchen with a separate dining room and large living area. Two storage cupboards, plus a garage which we use for storage. Only the bedroom is unfurnished. The rest of the apartment is furnished. I will be taking our current dining table with me, but the rest is all there. Close to trams, trains and only 5 mins from Chapel street in one direction and 2 minutes from high street. Bond is $1400 (but didn't get that option when putting in the ad) - move in date is flexible, but basically we're ready when you are! We have a very spacious 3 Bedroom Unit with 2 Bathrooms, separate living room kitchen and dining room and an enclosed garden which wraps around the front and side of our house. Our WiFi is unlimited, Netflix is available and we are located in heart of Armadale, close to shops, cafes, supermarkets and public transport. Ideal location within a 20 minute walk of chapel street. A gym, super market, and tram stop all located within 10 minutes of the property. Ideal for travellers. You will have the spacious main bedroom with en suite. There is a big kitchen and living area, and a small balcony. We are located on the top floor, and the apartment and area is really safe. Happy for you to bring furniture , as my old house mate is taking most of ours (Photos were taken before we moved in). The house is a recently renovated mansion turned into 6 apartments. Huge space with wooden floorboards, high decorative ceilings and beautiful stained glass windows. Apartment has been fully painted, re-wired, new heating/cooling system, hot water system service, new oven and shower all installed within the past 12 months. It will all be furnished differently too as everything currently belongs to my departing housemate Kitchen with plenty of pantry and cupboard space. Bathroom with large shower, bath + cupboard space. Dining and lounge room have large folding doors to seperate the space. Apartment also has two balconies, one at the back which is shielded off- great space for drying clothes with a washing line downstairs. Front balcony looks over front yard and is a nice relaxing space. The bedroom itself - large room with ample space for a queen bed + more. Built in wardrobe and access to the front balcony as well. A cat lives in the apartment, she is super friendly and just wants a cuddle. We have a cleaner fortnightly and unlimited internet. Bills are super cheap. This property comes with off street parking, Free internet and security entry. It’s walking distance to cafes supermarket tram and bus stops. My apartment is in a great location. Walking distance to trams supermarket and cafe. It’s newly refurbished and professionally decorated. *Available only through June* The building is very nice and set back in the block so the apartment is quiet. Kitchen was just redone with modern appliances. Furniture and décor is oriental with pieces from around the world. Fully furnished, everything you need. Pay-to-wash laundry in building. Located 2 minutes walk from trams on Dandenong Rd which can get you to the CBD in 35 minutes the other way to Caulfield in 20 minutes. I am an American exchange student from Chicago studying here at Monash Uni until the end of June. I am leasing this apartment from the owner. I am very laid back, witty, fun-loving lady. I enjoy cooking (vegan), reading and anything outdoors. Looking for a considerate flat mate to make this place a relaxing apartment to come home to at the end of a long day. We are looking for a kind, neat and sociable person to join our friendly company as the mate we’ve been living with for years want to go to Brazil. The place we call home is a 3 bedroom apartment on the second level, with one bathroom, spacious and light kitchen (can fit 5 people cooking at the same time, we tried! ), living area which became an art studio, a gym and just a place to have rest and chill, a cozy balcony and separate laundry room. Convenient location: the property is within a 3-minute-walk from a tram stop, 10 minute from Malvern train station and a shopping center. Just around the corner there’s a park with a tennis court, BBQs and a quiet lake. The walls are solid concrete! You hardly hear a thing! Place is cosy and warm. Super close to Tram #5 and #64 (approx. 2 min walk), Metro Woolworths is a 2 min walk if you forget the milk... The neighbour are really nice and respectful. You get your own carpark right outside the front door of the apartment building. 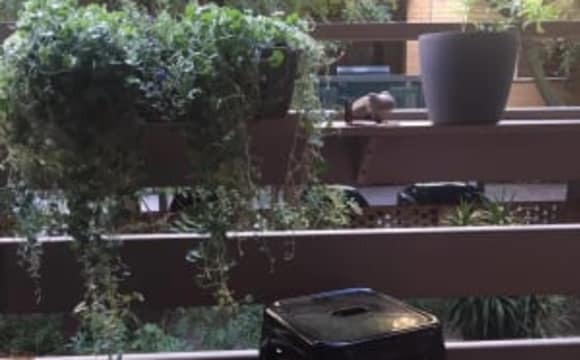 You are a top floor apartment so no above noise. Water bills included in rent! So take as long of a shower as you wish. Your room can easlier fit a Queen size bed and you have a large built in robe too. The apartment is in an amazing location, located just off Orrong Road on a quiet leafy street. 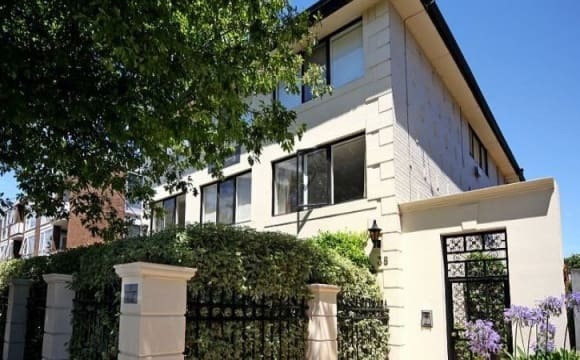 It is 2 minutes walk to the number 6 tram, less than 5 minutes walk to Toorak train station and super close to Chapel St as well as the supermarket. It has a large kitchen and generous living room, both of which are already fully furnished. The bathroom/laundry has been well maintained and is plenty spacious. The spare bedroom (YOUR BEDROOM!) is well sized and can fit a double bed, desk, chest of drawers and comes with a built in robe. The room is light and bright and is ready for you to move into! All you have to do is bring your lovely self and furnish your bedroom. The room is available as of the 23rd April and looking for someone to move in ASAP! Hi All This is a trendy area and very close to cafe's, shops &amp; supermarket and also very close to transport. Two bathroom, two bedroom appartment. Unlimited internet/wifi. The apartment block is primarily owner occupied as such it is a friendly and safe environment. The apartment is fully furnished with the bedroom having a bed and bed side tables etc available at no extra cost should you wish me to provide. All you need to do is move in. Happy for you to also bring along whatever you like. Please see photos and more than happy for you to enquire. Great location! Apartment is located directly across from tram stop routes 5 &amp; 64 and only a few tram stops from Malvern and Windsor train stations. The bathroom includes a washing machine, and the toilet is separate from the bathroom making it easier to share. 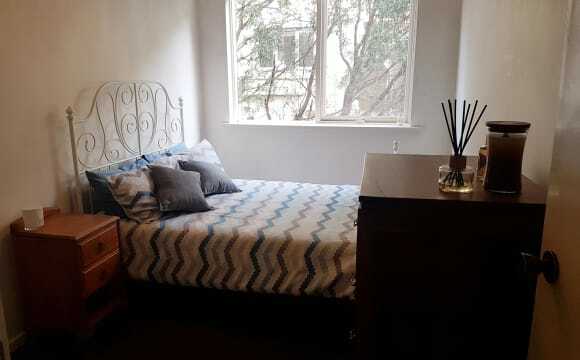 Rent includes bills and fully furnished room...can provide sheets, pillows, doona if needed. We are asking for 4 weeks rent as bond but please still contact us if you are only needing to stay 1, 2 or 3 weeks as bond can be modified for short term stay. Good location close to public transport. Woolworths around the corner, coffee shops next door. Close to public transport Close to high street Armadale, chapel Street, St Kilda, Elwood Beach. Great local pubs and wine bars: Oorong Hotel, Mount Erica, The Smith. Perfect spot to go for a walk to the many local parks and grab a coffee. Hello! I will be moving into my new place at 12 May or 21 May (I will confirm the exact moving date till 29/04) and I need someone to take over the lease (ends in February 2020, with the option to renew) so this is a lease transfer and a minimum of 4 months stay. It is a spacey apartment, the room is unfurnished. There is a beautiful little balcony I love to sit on at night. The bathroom is shared but huge, almost the size of another bedroom. There is a massive living space and kitchen. 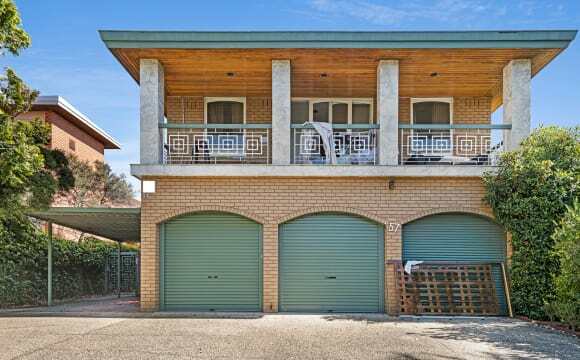 Awesome location, only a 8 minute walk to trams 3/a, 5, 16 and 64 (if you head to the beach or Monash Uni, it's a great place) and a 15 minute walk to Malvern station. There’s a bus that goes directly to the city right outside the street. Very accessible for public transport and shops are nearby if you jump on the 16 tram takes 10 minutes. No pets allowed. - Bond is $800 and will be done by a bond transfer via bank transfer and real estate forms - monthly rent is $713.68 - Bills are roughly $100 a month including gas, electricity and wifi (no water bill) Your new housemates are two Aussie guys in their mid-30s. Jarrod is a photographer and producer. He is really easy going and friendly. Grab a beer with him. Martin is a software engineer and enjoys his busy life filled with many habits. Looking for someone responsible for paying bills/rent on time, friendly, clean, respectful of others. Send a text to Jarrod or a message via flatmate if you think you’d be a good fit! Short term sublet - approx 6-8 weeks. 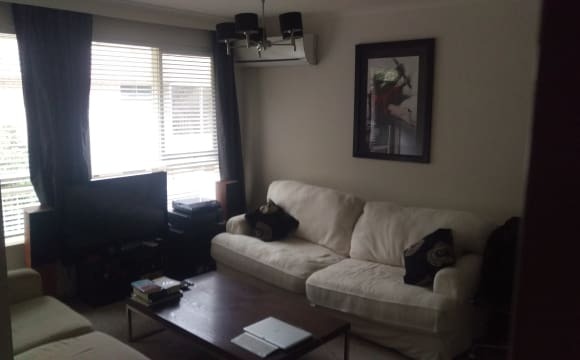 Massive room furnished with a bed in a townhouse with two laid back Kiwi couples. Perfect for someone settling/arriving into Melbourne. 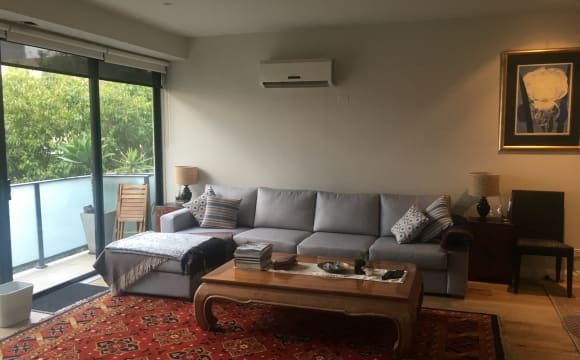 This is our spare room which we are happy to rent out for approx 6-8 weeks, perfect if you need to set yourself up in Melbourne! Beautiful three bedroom townhouse, sunny spacious, close to lots of public transport. Bills are extra and are approx $25 a week per person. This covers; water, power, gas, unlimited internet, and Foxtel. Furnished bedroom in Malvern, 20 minutes from the city, 10 from Chapel St and 20 minutes from the beach, perfect location! Modern, open-plan kitchen/lounge. Landing area/second lounge and new modern bathroom. The kitchen is open-plan with a dishwasher and plenty of cupboards and bench space. We love to meet people from NZ or from other parts of the world, the UK, Canada and beyond!